Looking for the best earphone under 500 with the mic so we are here to help you out as nowadays, selecting the right earphones among hundreds is a quite time-eating task & confusing especially to those who are the music lover. The feature mentioned on box/paper only tell half of story but further half is covered by us & that is user experience. How have we created the list of best earphones below 500? Today, people try to buy an earphone which has a mic and can deliver the good bass below 500, so keeping this in our mind, our list consists of good bass earphones with the microphone or you can say best earphones under 500 with the mic. 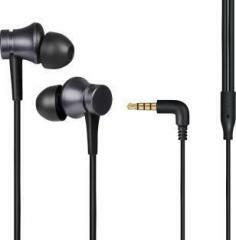 These are one of the best sound quality earphones which comes with 32-ohm impedance, with a price tag of 500rs. The earphones come with 10mm drivers that aim to provide clarity along with stereo sound with particular attenuation to ambient sounds BOAt bass heads are bassy as compared to the other earphones and it’s not overwhelming which is really good. Bass is highly maintained in bOAt BassHeads 225 which makes it a great choice for Bass lovers. The sound quality of this earphone is great with enrichment of wordings. The sound is having great clarity at full volume also. Call quality is great as the audio is clear and loud. The performance of the microphone is also great. Earphone,4 different pairs Silicone Earbud’s Size(S/M/L), ear hooks, and shirt holding clip. The company does well in term of design, it is pretty attractive and shining. It comes with a metallic finish and also light in weight. Mi has given angular shape to this earphone to make it user-friendly while walking or running. Mi Earphone Basic is having L shaped 3.5mm Headphone jack to provide extra comfort while playing games or watching videos. The earphone comes with 1.25m long wire and the headphone jack is Golden plated to make audio more clear. The build quality of the earphones is good and with the metal chamber, they look premium and the front auditory tube bends at 45° to match ear canals for proper adjustment by which they do not easily pop out and it has tangle free cable made of Kevlar which is a very durable type of material. The sound quality of the earphone and the vocal sound of the earphones is good compared as to any other 500rs of earphone, and these earphones have much better sound quality than Amazon Basic and Flipkart smart buy which you get at a single price point. The noise cancellation of these earphones is average. You have to increase the volume or go to the less noisy area because the outer sound will disturb your bit, for clear listening. Earphones look very stylish and lightweight or comfortable because of its unique design. Build quality of earphones is also good as compared to the price. These earphones feature anti-slip ear tips and sweat free silicon coating ear tips, so you can use these earphones while running, exercising or gym. In case of sound quality, the earphones are much better than other 500rs priced earphones, with loud and clear vocal but the bass is average and the treble is good. It feels little shaky while using at high volume. Overall, Flipkart SmartBuy has value for money sound quality. Bass is maintained at a high level also which makes it a great buy for High bass lovers. Unable to distinguish the vocals and instruments and feels shaky while using at high volume. These earphones are the most uniquely designed earphones among all other because the tip of earphones is like the suction cup of ear wax remover through which they completely and easily adjusts in your ear canal and don’t heart the inner lining of your ear even after a long use. Build quality of earphones is nice and it comes with rubber coated earbuds which are sweat proof or allows you to take them out in rain and wear them when sweating heavily. Philips SHQ1200/10 ActionFit have non-slip soft silicone caps helps to seal the earbuds to your ears for better sound quality and a better fit. When it comes to sound quality. This earphone offers 13.6-millimetre drivers, offers high power sound with loud bass and quality of acoustics. Earphone,2 different pairs Silicone Earbud’s Size(S/L), ear hooks, shirt holding clip or a pouch. The design of earphones is simple and very straightforward. The back of this earphone is like the bOAT basic earphones and the price of the earphones signifies its design. In case of build quality, the earphone is not so good but it has the 1.2m long wire which is not tangled free and 10 mm drivers of these earphones are much better than the others at the price stage of 500rs. The sound of these earphones is just average. Actually, These one are entry-level earphones, so what we can expect at this price range? I found that Bass of earphones is ok but vocal sound are quite impressive compared to what I expected. I highly recommend these earphones to Bikers mainly and also for low volume users. Still, any doubt feels free to ask via comment. 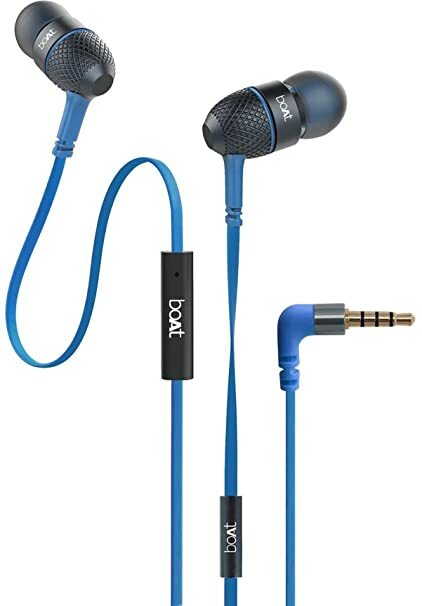 Suggestion- If you are searching for the best bass earphones under 500 or boat earphones (specially bOAt bassheads 225) or ubon earphones or Jbl in-ear headphones under 500 or Skullcandy in-ear headphones or sound one 616 or any else then we suggest you to higher your budget and our new list of best earphone- Top 10 Earphones to buy under ₹1000 in India (Depth Review). Link to download- Download Snaptube App. Highs are high-frequency sound Similarly, mids & lows are mid & high-frequency sounds respectively. Highs mean high-frequency sounds like treble sound. It ranges between 4KHz to 20KHz. Lows include Bass and Sub-Bass. Sub-bass sound frequency lies between 20Hz and 70Hz(approx) & for the Bass, sound frequency lies between 80Hz to 250Hz(approx). If you are listening to the music at maximum level it might take you in a problem in future, so try to listen to 60% of a maximum sound level. If you hear more than 1 hour then it would quite good for you to listen to 50 to 60% of the sound level. Just look at the video attached below. It is attached so that you can test the bass of your Headphone or earphone that you currently own or further planned to buy. 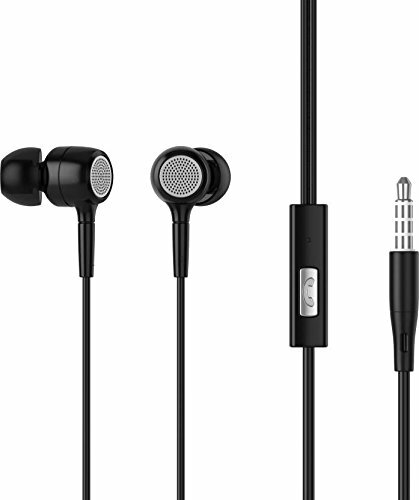 We will be happy to hear from you on our post: Top 5 earphones below 500 with a mic. Your Feedback in the comment section will help us to improve so that we can deliver a better experience to you. Amazing article, really very helpful in finding which earphones would be the best in my budget.